So far, Tron leads the collapse shedding six percent in the last day while IOTA is pretty much stable testing the main support line at 90 cents. In any case, we shall wait for better sell entries once there are breaches below key support lines. In other news, Binance is planning on setting up a bank with Malta’s Founders bank and following the steps of Litecoin. 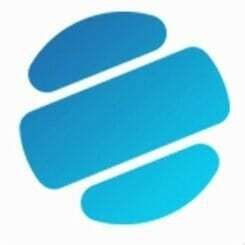 With a $4 billion war chest, Block One is attracting the best talent in the banking and even the crypto world. After bringing on-board Michael Alexander from the Jeffries Group to oversee EOSIO investment and financial related matters, they are now stepping up their game. James Mendes is now part of Block One and before joining, he was the MD of Human Resource at Citi Croup. 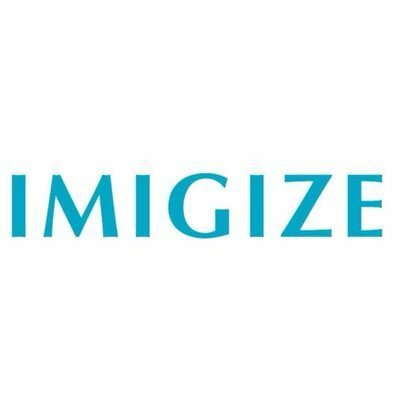 This high-frame talent acquisition is in line with their objective of laying the framework of a scalable platform utilizing blockchain technology. Despite this, EOS coin is on the slide. 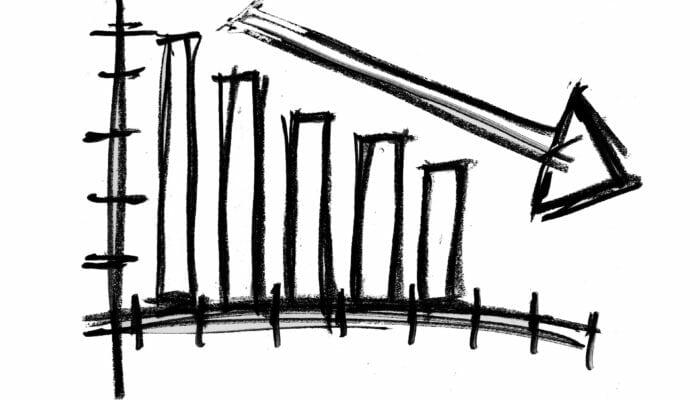 Not only is price down but the trading volumes took a hit indicating reluctance. 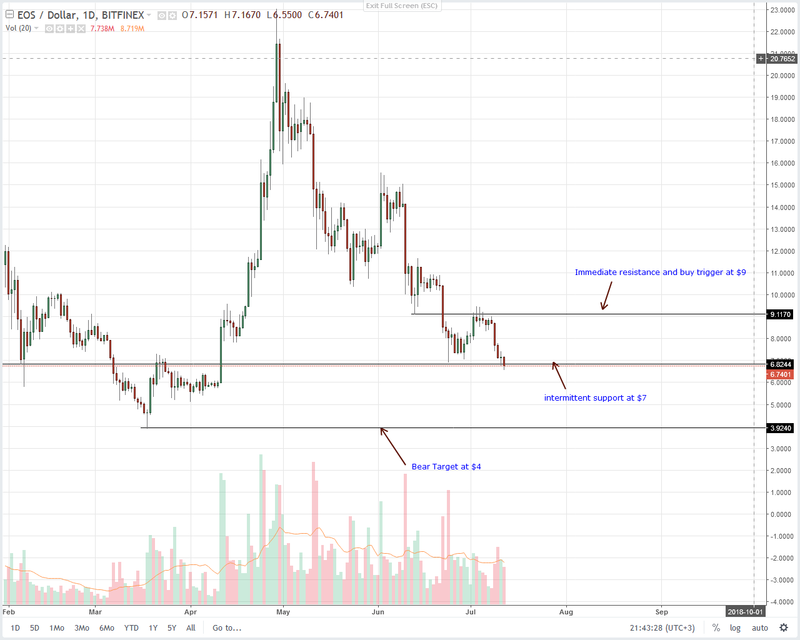 At the time of press, EOS is down six percent and trading below our sell trigger and main support line at $7. 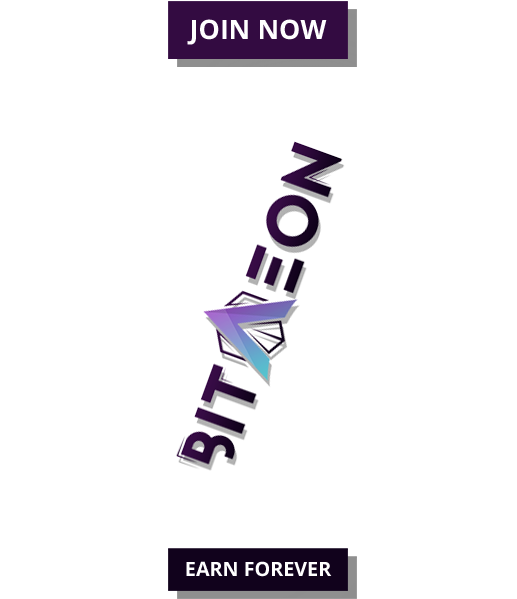 So, because of our trade plan, we shall recommend shorting this coin and taking advantage of the bear break out pattern that is developing. Ideal stops should be above yesterday’s highs at $7.5 with targets at $4 and later $3 assuming sell pressure is strong. There is much talk around the benefits of LN to users and Charlie Lee weighed in on the issue. Through a Tweet, he said there is more for makers running the LN on both Bitcoin and Litecoin. There users can easily act as a maker, earn a spread whenever they trigger a conversion while takers can automatically swap LTC/BTC via the maker node. This of course is easier said than done because for this to be possible then mobile integration would have to be much easier. Besides, for maker-taker models to take root then access to funds in the wallet have to be possible. Regardless of this good vibes, prices are still on a down trend meaning our trade plan is intact. The only undoing is if we see prices edging above $90, our main buy trigger line and recent higher high cap. 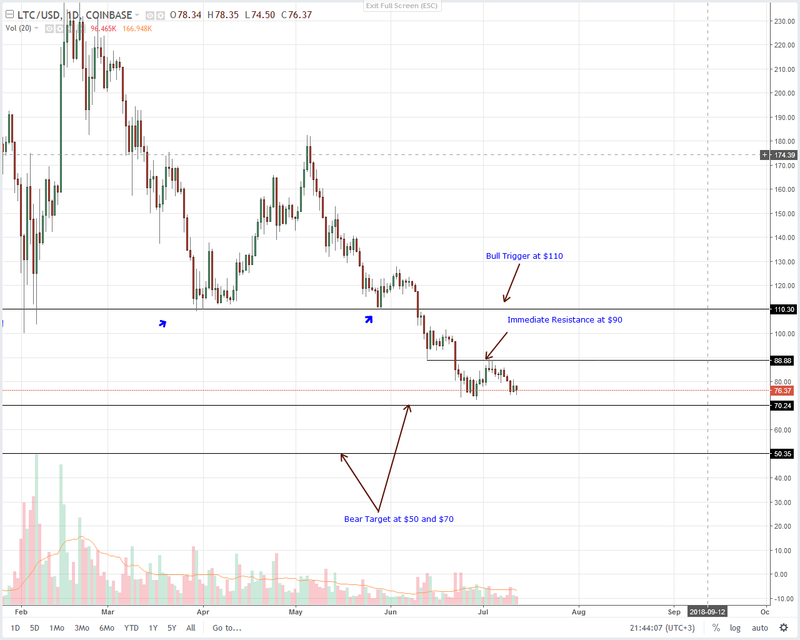 If there is no appreciation at around $70 and instead we see a melt-down below April lows then sellers would be better placed to continue shorting with every pull-back as they aim for $50. Syncing with the general mood in the market is Stellar Lumens which is current five percent down from yesterday. While we are overly bearish, any bullish attempt thrusting XLM above July 10 highs at 20 cents and 22 cents on the upper limit effectively means a recovery. 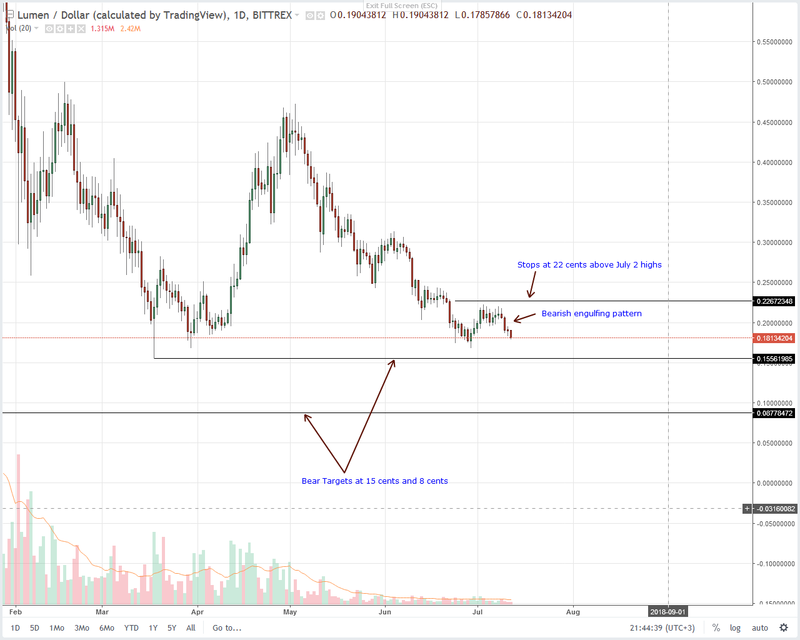 Despite this we should also realize that XLM is trading inside a consolidation with strong limits at 15 cents on the lower side and 22 cents on the upper side. So, even though we are bearish, risk-on traders can wait and see what happens at 15 cents. Any break below means trend continuation and in that case targets would be at 8 cents. On the flip side, any rejection would be a launch pad for buyers. Overly, sellers have been relentless on their drive. 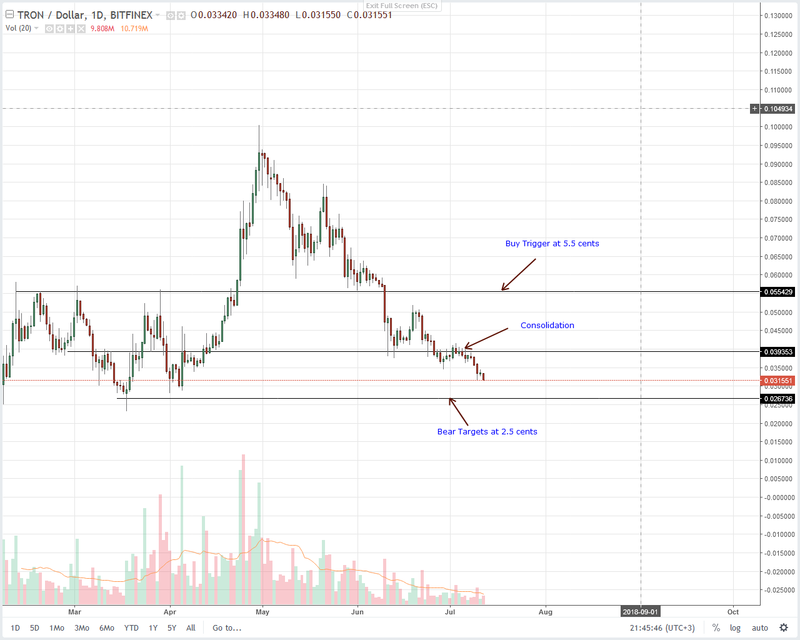 So far, TRX is trading below 4 cents following period of consolidation and eventual break below on July 9. Today, like yesterday, we suggest shorting TRX on every high and this time, our stops would be shifted lower to July 10 highs of 3.5 cents. As usual, our targets remain at 2.5 cents, a key support level marking the lower limit of February-April horizontal consolidation. On a weekly basis, IOTA is still on a down trend and we shall continue to sell as long as the technical points in that direction. 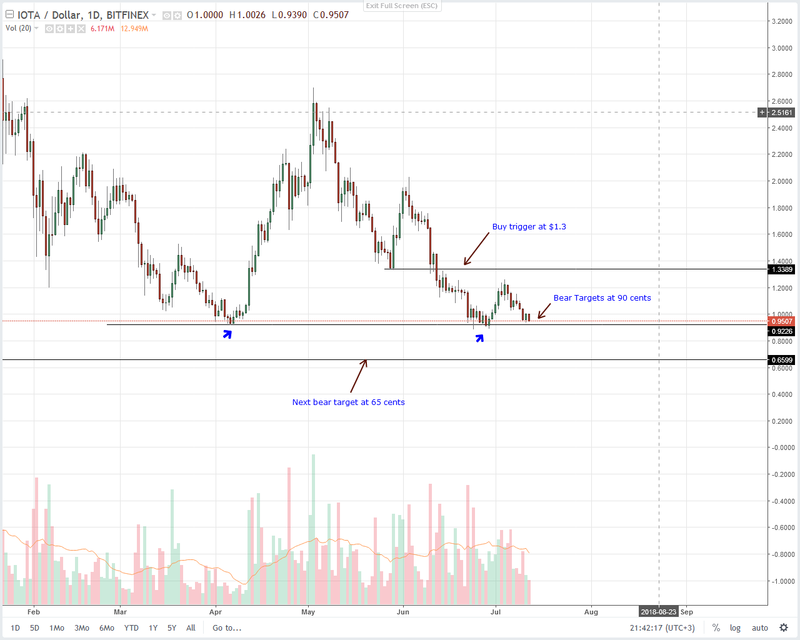 Today, we take a pause simply because IOTA prices are approaching key technical levels: 2018 main support line at 90 cents. As we have reiterated before, this is going to be a break out trade and the best approach is to wait for confirmation. Remember, should we see sellers breaching 90 cents then we shall short with stops at $1 and sell target at 65 cents. On the reverse side, if there is rejection of lower lows and buyers support prices, then we shall wait for confirmation only buying when buyers push above $1.3.